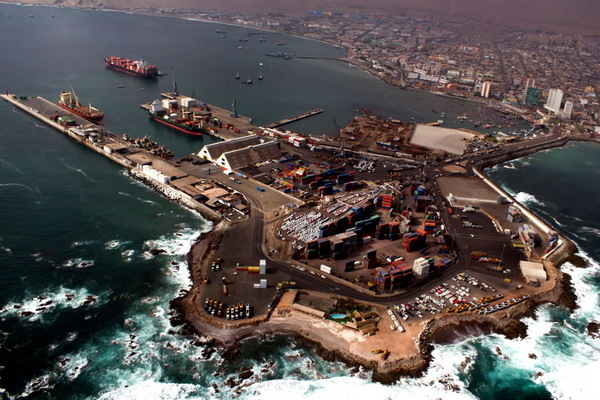 The Chilean port and logistics operator SAAM Puertos consolidated 100% from Iquique Terminal Internacional (ITI), the operator of the most important port in northern Chile and the fifth largest in the country. SAAM acquired the remaining 15% of shares in the port from Grupo Empresas Navieras (GEN) for 11.05 million USD. By the acquisition it became 100% owner and operated of the port. ITI is the operator of the port of Iquique on the basis of a concession agreement in force until 2030. The port complex are two berths in the port capable of taking Post Panamax class ships. In 2016, the cargo turnover of Iquique amounted to 2 million tons and 272,000 TEU. The statement notes that the strategy of SAAM Puertos, which currently operates 11 port terminals in six countries of the Americas, provides for an increase in the company’s share in controlled assets. So, in January of last year the company consolidated 51% of shares of the operator of the port of Puerto de Caldera in Costa Rica. Recently, plans were announced to expand the capacity of the company’s fully controlled terminal in the port of Guayaquil in Ecuador. SAAM is a Chilean multinational company that provides integrated services to exporters and importers through its three business divisions: Port Terminals, Tugs and Logistics. With more than 50 years of experience, it is one of the main port operators in Latin America, operating 11 ports in the United States, Mexico, Colombia, Ecuador, Peru and Chile – and the fourth largest player in tugboat services.